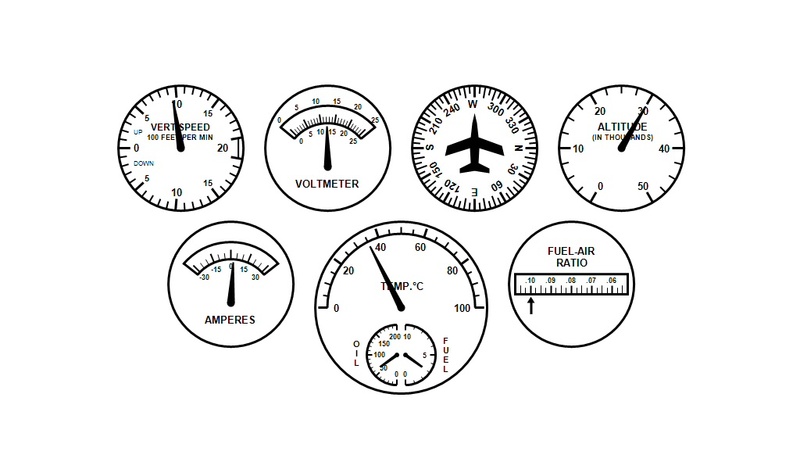 Dials Perception Test is an approach to test your ability to identify and read dials on an instrument panel. The accurate perception and interpretation of visual information is an important aspect in the qualification profile of a pilot. Objective of test is to answer questions that relate to the information displayed on the instrument panel in nine minutes. Participants are supported by presentation with a multiple-choice table of five answers to select the correct one from.